10 kilometers West of Guissona the town of Florejacs raises on a small hill. Previously the head of the municipality, it got united in modern times the one (i.e. municipality) of Torrefeta. 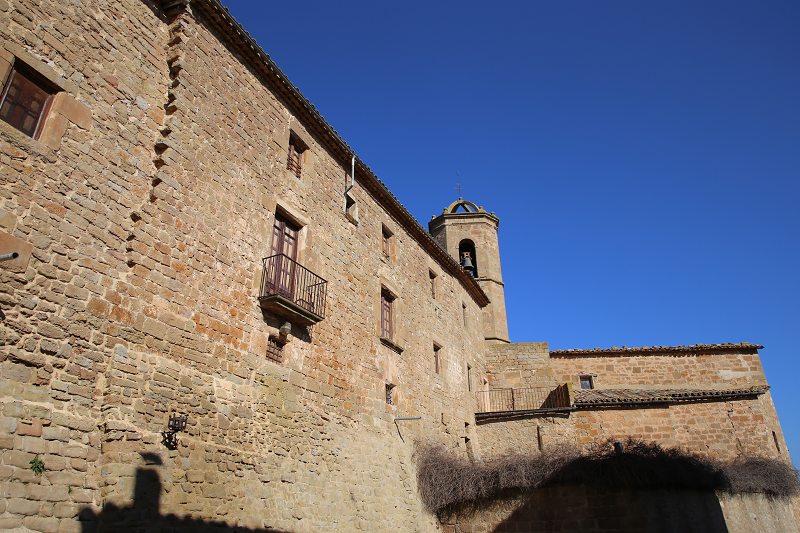 The silhouette of the village is framed by the castle tower and the bell tower of the church, standing out against the sky over a typical Segarrenc landscape. It is one of the most fascinating perspectives of the region. 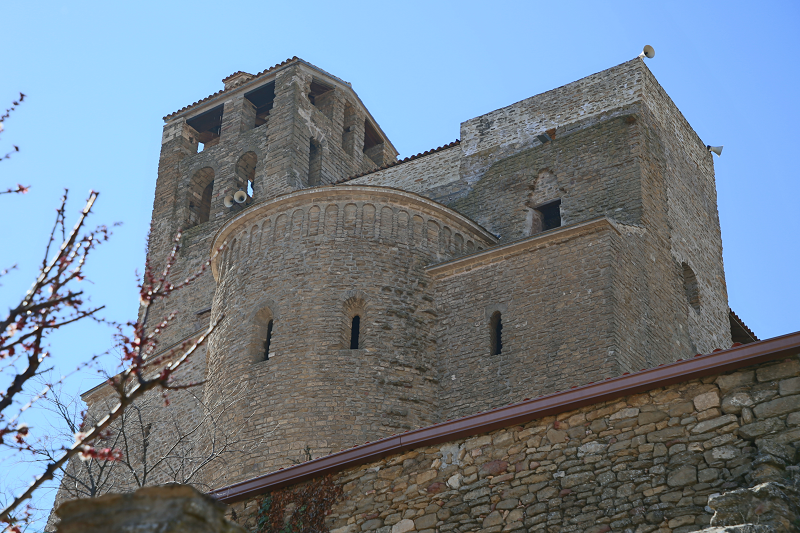 Despite being close to the busy road N-II, running from Cervera towards Ponts / Andorra, the town is a peace oasis, thanks to its access through a small road of about 4 km, next to the town of Palou, that ends at the entry to Florejacs. 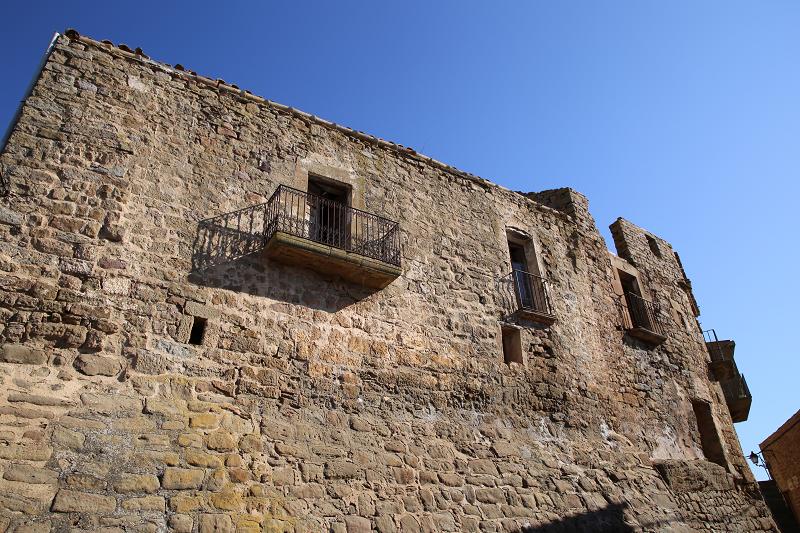 Historically, the Florejacs castle, along with neighboring Sitges castle, was part of the borderline between the Arab world and the Christian world at the time of the Reconquista and the repopulation of the of the area. The Florejacs Castle is a building of large dimensions. 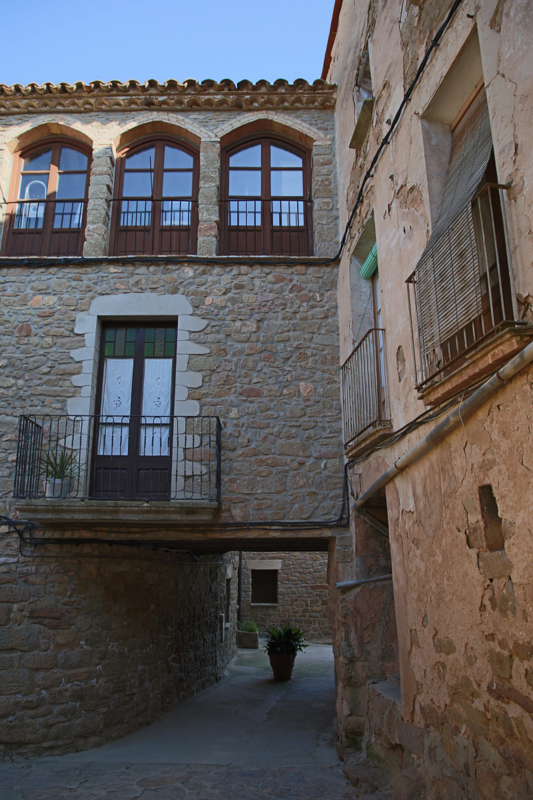 On the facade facing the street below, on the second floor, starting from the left there are three small windows. On the next floor, there are three windows on the left, to the right there is a balcony with an iron railing, further to the right there is a window with a sill, and on its right there are two simpler windows. On the next floor, there are three windows on the left side, and four on the right side. To the left of the facade there is the tower, on its ground floor there is an entrance facing Avall St., to the right of the entrance there is an opening. 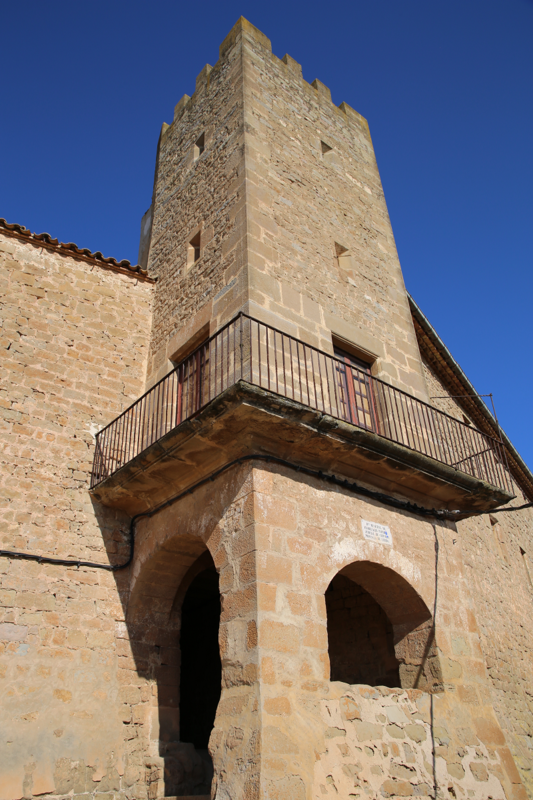 A few meters above, there is a balcony with an iron rail that surrounds the tower. There’s one entrance facing West, and another facing South. There are several small openings throughout the tower. Past the tower’s entrance, facing an almost closed street, where the entrance to the building is, there are two entrances with a semicircular arch, and on the next two floors, there are two windows. There is another entrance westward with a semicircular arch, over it there is a balcony with an iron railing and on the next floor a window. 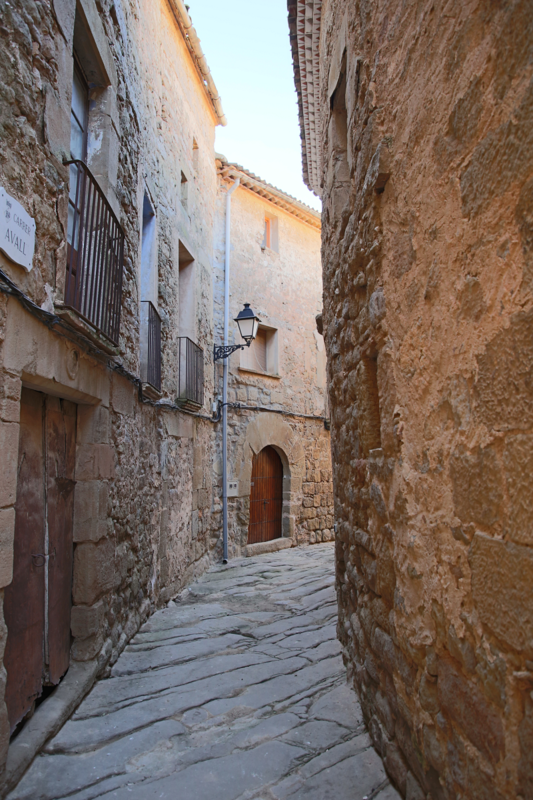 On a small square called Plaça del Castell, the front entrance opens up, while on the left there is the entrance used for cavalries and carriages, connected to the stable, and at the back with cellas and dungeons. In a courtyard that used to be an outdoor cemetery back in the day, there was a door that lead into the Romanesque chapel of the castle, now integrated into the village church, built in the 18th century and extended in the 19th. The Romanesque door still stands inside the church, with the Josa shield above the arch. Through the stairs at the entrance, you reach the noble floor, occupied mainly by salons and lounge rooms. From the living room another set of stairs leads to a room on the upper floor, decorated with weapons, which gives access to other rooms, among which several bedrooms. As for furniture, like architecture, the legacy of the past centuries has also been preserved. Thus, the tour through the different rooms allows you to contemplate furniture and art objects from different periods, starting from the 16th century, grouped into harmonic sets adapted to represent the family life, since it is not a museum, but rather a living residence. 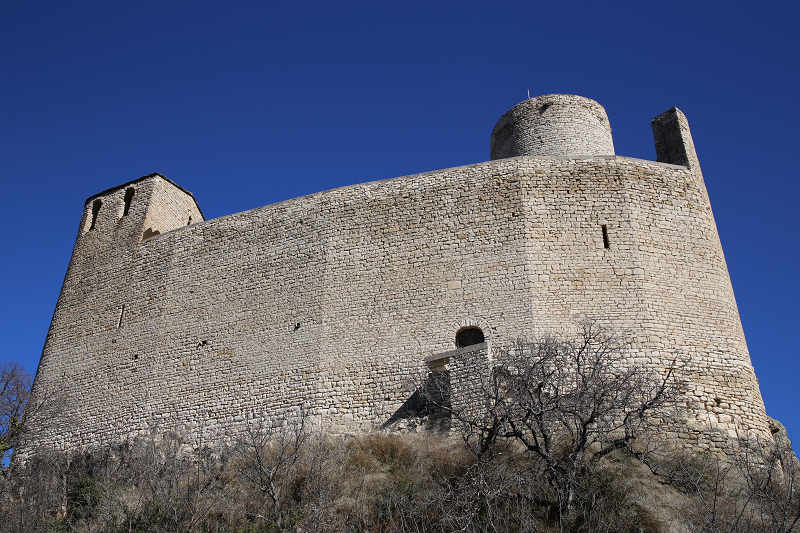 The first documented references to the Florejacs castle are from the 11th century, although there probably was an older fort on which the medieval castle was built. 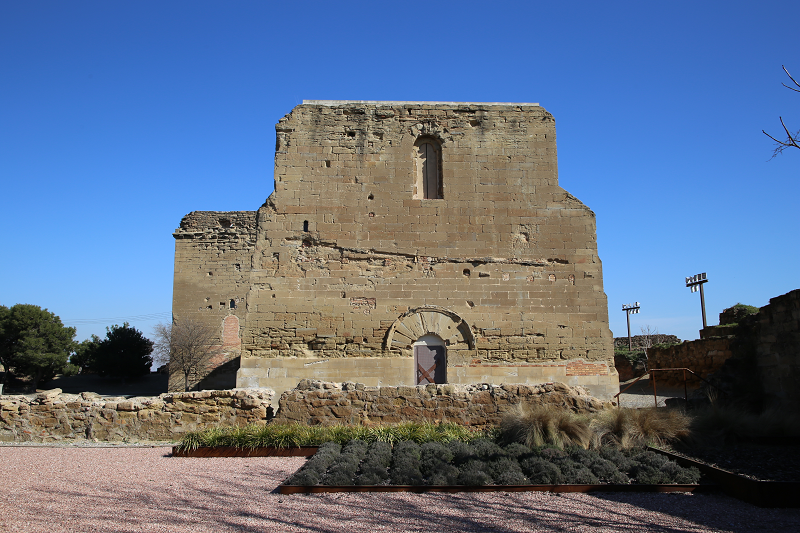 Not only have some Iberian vestiges were found, but the very name of the fort could very well be derived from Loreac, which in Iberian language would mean “fortified elevation of flowers.” The name was latinized by the Romans to Floriacus, and from there it went to Florejacs. During the Reconquista of Catalonia by the Saracens, the great warlord of the area, Arnau Mir de Tost, lord of Àger, likely built or consolidated the medieval castle of Florejacs at the end of his campaigns, around the year 1063. Monreal-De Riquer added that in 1099, in a document published in the ‘Marca Hispanica’ by P. from Marca, reference is made to the ‘terminos de Floreiachs’. 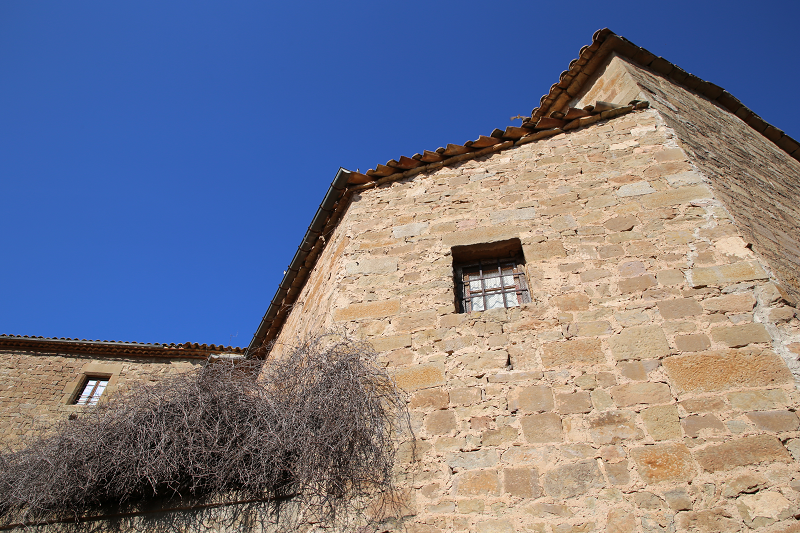 Pere Ponç, in the donation made to the canonical of Urgell in 1100, speaks of ‘villa que vulgo dicitur floriag’ (lat. the town commonly called floriag), and a document from 1131 introduces us to the ‘castrum Floriaci”, which surely refers to the same one. In the concord of 1307, the king granted the Count of Urgell full jurisdiction of La Morana, Siges, and Florejacs. We understand that a certain new settler from Lleida, Miró de Floregai, from La Segarra (according to Lladonosa), may be linked to Florejacs. In 1150, just after the conquest of Lleida, he obtained land in allod. 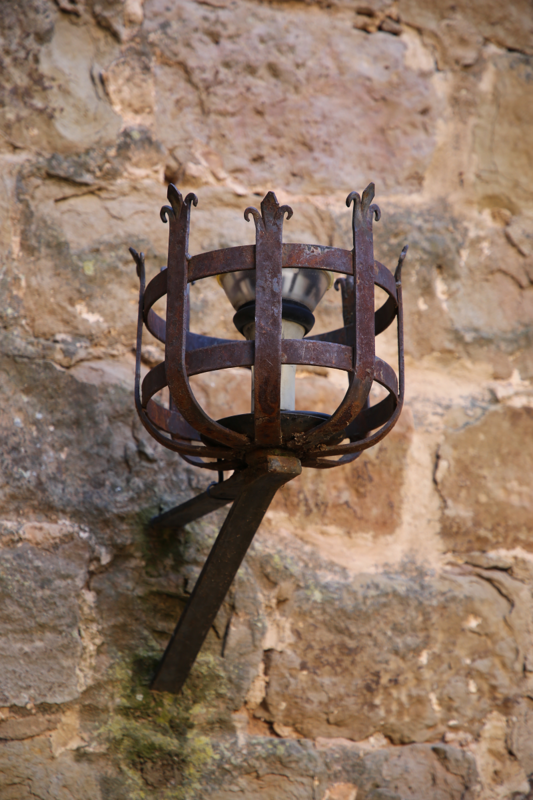 Few years later, in 1172, in a census carried by the Templars, they granted him a vineyard near Lleida. In a document from 1258, Bernat of ‘Florejachs’ appears, he appears as the son of Berenguer de Montbrió. 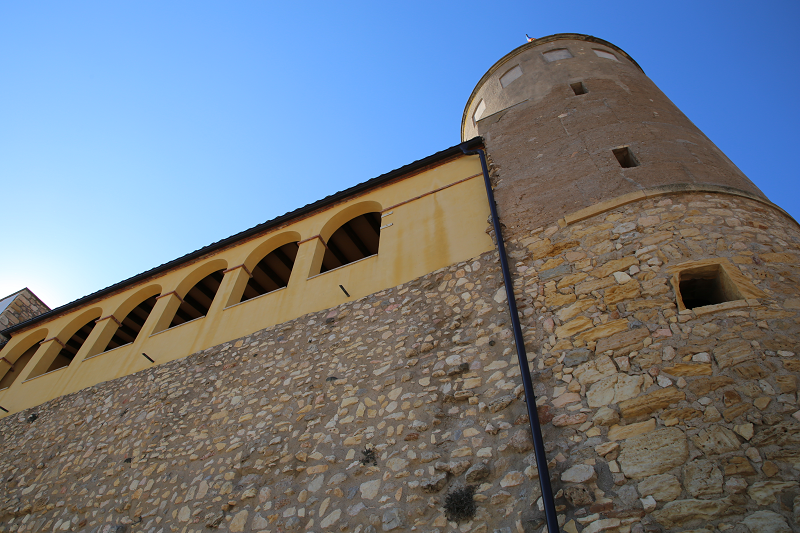 At the beginning of the 14th century, the castle of Florejacs belonged to the Alamany de Cervelló, and in the year 1304 Guerau Alamany made a will, granting the freedom from serfdom, for ten years after his death, to the settlers of Florejacs and Sitges. In the Hearth Tax listing from around 1381, Florejacs appears in Lleida’s vegueria (cat. feudal administrative territorial jurisdiction) with 4 hearths. Florejacs was a walled town of considerable importance, judging by the wide reach of the stretches of stunned wall that still remain. The other most interesting part is the corner portal that opens under a tall and square tower. Inside of it the stone hinges of the heavy door that was closing it are still visible. It seems that this magnificent tower, with a characteristic construction from the 14th century, was part of a large castle close to the wall, which is now only remains in the local tales. 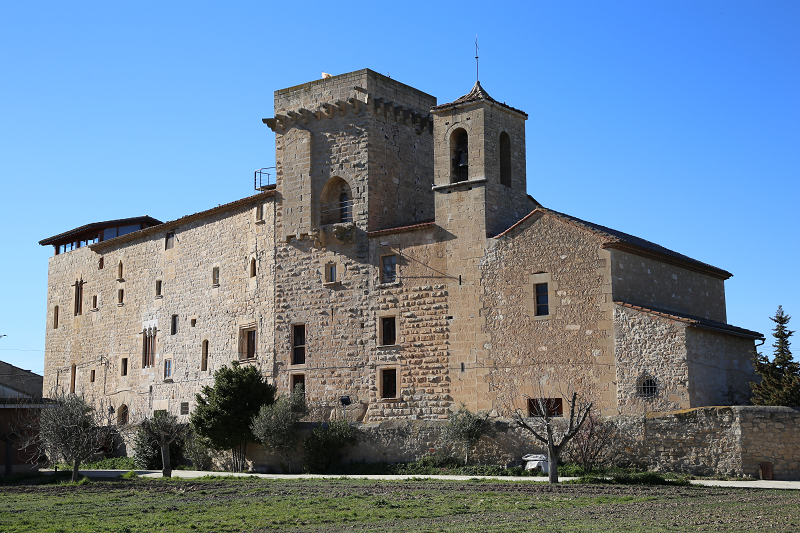 The barony of Florejacs was a stately jurisdiction centered on the homonymous castle that belonged to the Josa, and later passed to the Cortit in 1571, Bartholomew in 1574, Aguiló in 1613, Ribera in 1625, and the Marquesses of Gironella in 1741. Josep Antoni de Ribera was born in 1688 (Barcelona) to Francesc de Ribera i Bartomeu (the Baron of Florejacs) and his wife Maria d’Espuny i de Claramunt (Lady of the barony of Rivert and the Claramunt castle). Together with his brother Carles (wounded in the defense of Barcelona in 1714) they were definite Austriacists in the fight against Philip V of Spain. The king of Catalans Carlos III rewarded the baron of Florejacs with the title of Count of Claramunt. After enduring privations, in 1725 Josep Antoni de Ribera recovered his castles and baronies of Claramunt, Florejacs, and Rivert. His sixth granddaughter, Pilar de Febrer Sanllehy, Marquesa of Villa-Palma de Encalada (who rehabilitated the title once her brother died, since his first-born son, Josep Antoni de Febrer Monforte, did not want to do it) claimed, without success, the rehabilitation of the title of the countess of Claramunt in the 60s. His grandson also tried to claim it, in 1985, presenting a stronger case with Josep Maria de Febrer and the Rios. After a positive report from the Ministry of Justice and two reports of the State Council in favor of this second pretender, it was still not possible to sign. However, a royal letter of succession shows Josep Maria de Febrer i de los Rios to hold the title of the count of Claramunt socially and legitimately. 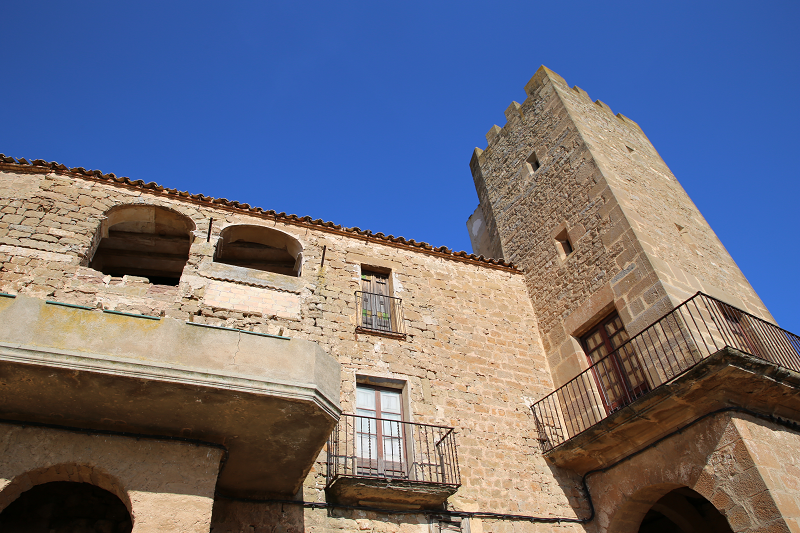 The old part of the village is inside an enclosure that follows the shape of antic wall of the medieval castle. The preserved portion of the fortification occupies the eastern sector, where the reinforced part of the bastion becomes more clear. 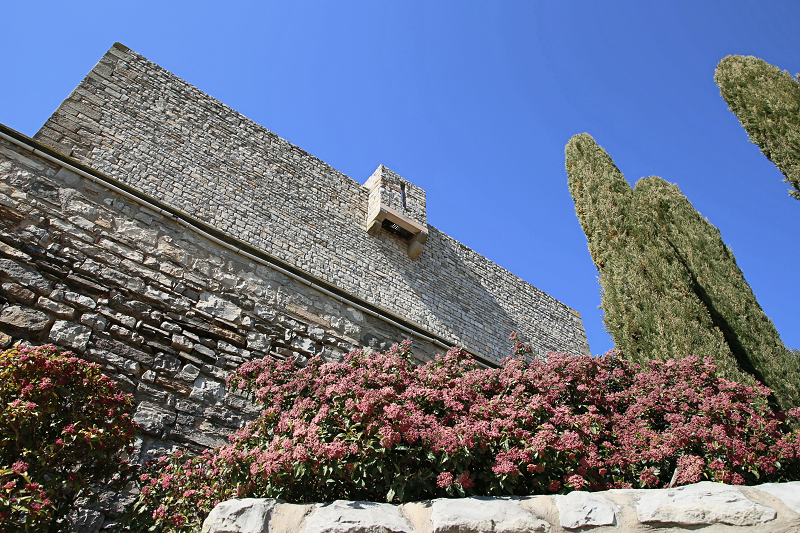 It is the set formed by a tower with merlons from the 14th century, and the base of the wall, presumably from the 11th century, on which a stately mansion from the 16th century stands. In the Middle Ages the village did not exist, and only the inhabitants of the castle lived here with a small number of people at their service. According to data from 1380, Florejacs only consisted of 4 hearths. After many changes, such as the economic prosperity of the Lord, in 1715, Florejacs already had about 18 houses, and at the beginning of this century, around fifty houses, and about 200 inhabitants (numbers that now have decreased considerably).